Easy to use flexible mould for use with polymer clays and air dry clays. Includes complete instructions to make the illustrated female figure. 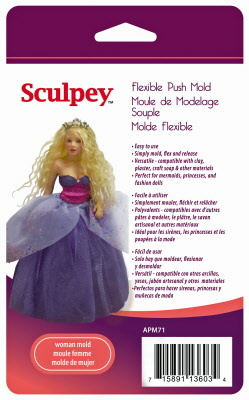 Perfect for princesses, mermaids and fashion dolls.